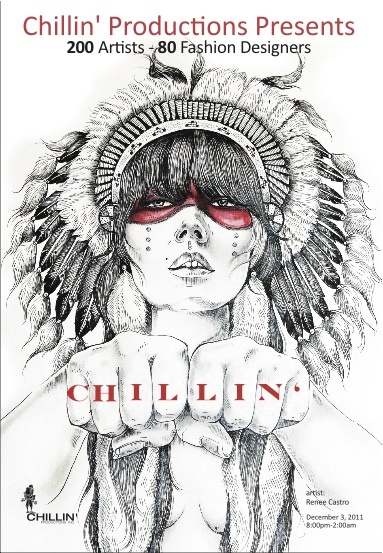 Chillin’ Productions Holiday Show 2011! 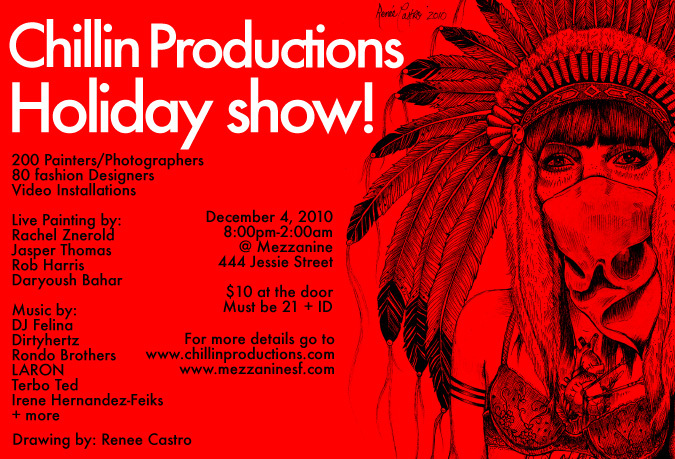 A must-attend San Francisco event::check out local artists, fashion designers, photographers and DJs’s at the Chillin’ Productions Holiday Show held at one of my favorite venues in San Francisco, The Mezzanine. My husband – local San Francicso artist Nigel Sussman – will be featuring some of his paintings at the event. It’s going to be a fun night!